Replace stationary benches with rolling benches. 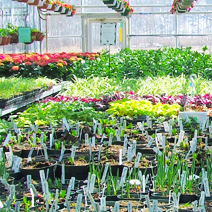 Many greenhouse growers in an effort to pack in as much production inside the greenhouse leave virtually no space to walk between the crops. With rolling benches you only need one aisle per house. So you may increase the width of your production aisles without losing any crop production, this enables workers to move more efficiently between the benches. Bring in material handling systems like double rail carts, moving basket systems, or conveyor belts. Remember, if your material handling system is supported by the greenhouse then you need to make sure the greenhouse design will handle these loads. Consider adding more ventilation, or even just HAF fans to move the air. 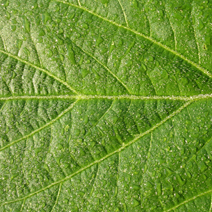 If your greenhouse gets too hot in the summer it’s not just your plants that may be lagging. Creating a good working environment will lead to more productive workers. Purchase better environmental controls to help you automate irrigation, fertigation, ventilation, shading, and lighting. Rollup sides are another area that can be operated with a motor and connected into your environmental control computer. Any area where workers are still manually adjusting the environment takes valuable employees time away from more valuable plant care tasks, and can be automated to save you time. Rolling benches get another vote under this category. Typically rolling benches can add 25% more production space from conventional stationary bench layouts. 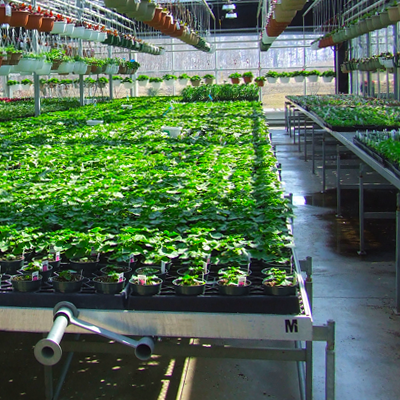 Flood floors are another option to reduce the need for aisle spacing and pack in more plants per square foot. If your square footage is enough to justify it, adding in robots for adjusting pot spacing on the floor can make this a big winner. Reglazing the roof. If you are growing in a poly greenhouse the reglazing is part of your regular maintenance schedule. But, 8mm PCSS roofs, Acrylic, and even glass can get dull, or damaged. When looking at how to get more out of your greenhouse consider the light levels you need and review your roof glazing. Add in supplemental lighting and or shading systems if your plants flowering cycle can be manipulated by adjusting light levels this may be one way to get an extra crop out in a year, or even just provide you an opportunity for timing market readiness better for the best buying season. Consider adding extra ventilation. This can be the easiest and most cost effective retrofit to an older greenhouse. 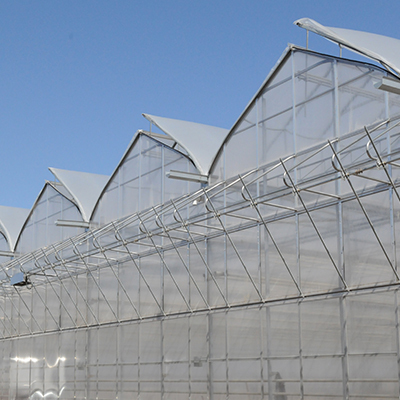 Rollup curtains can be added on to any hoop house or gutter connected poly sidewalls or poly end walls, and can be manually operated or automated with a simple motor. Hard glazed sides and ends can be fitted with vents, and in most cases we can reuse the existing sidewall glazing. And gutter vents, and ridge vents can be added to most greenhouse arches with a little expertise. What is that value in adding ventilation? Better flexibility for your growing environment, to reduce humidity, increase airflow, and help to harden plants. Raise the roof. Granted this is not a retrofit project for the squeamish, and in some cases it may be more expensive than tearing down the greenhouse and starting from scratch. 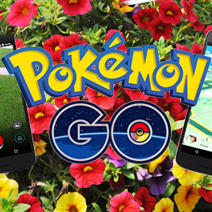 However, every year a few growers decide it is worth it to improve the growing environment. For this kind of project you need to make sure you hire a qualified greenhouse builder with experience in raising greenhouses. 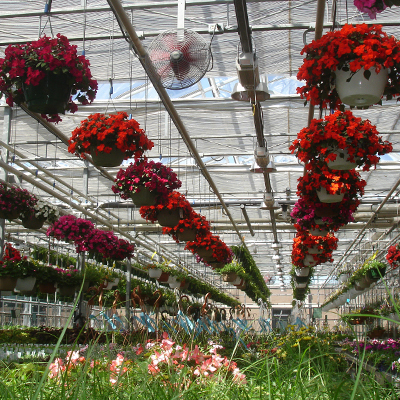 Keep in mind that modern commercial greenhouses are being built with 16 – 24 feet under gutter heights. Install energy curtains. Energy curtains will result in significant heat savings in the winter – between 20 to 40 percent! 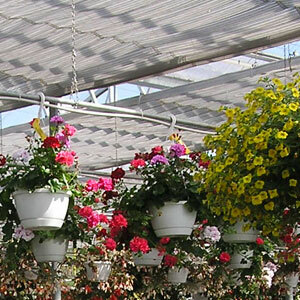 They also provide shade and help keep your greenhouse cool in the summer months. Check your vents. Over time with sun exposure, wind, rain, and snow, the rubber seal on ventilation windows can grow brittle, or malformed. This means that your vents will no longer be sealing properly. 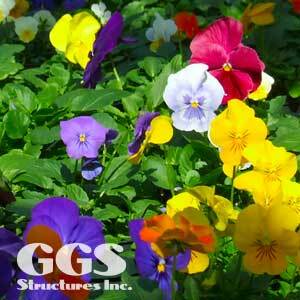 Improper seals cost money as heat is directed out of your greenhouse. Poorly sealed vents also affect the operation of your vent. Modern greenhouse roof ventilation uses EPDM rubber that is more durable than older vent rubbers. Consider flood benches the savings potential in water and fertilizer can often justify the cost of the benches. Regardless of your reasons for considering a commercial greenhouse retrofit, the first step is to know what you want to accomplish. If operation labor reduction is the key motivator behind a retrofit project then you need to look at how the greenhouse is affecting your labor. The best value for retrofitting will be different than if increasing crop yield is your main goal. 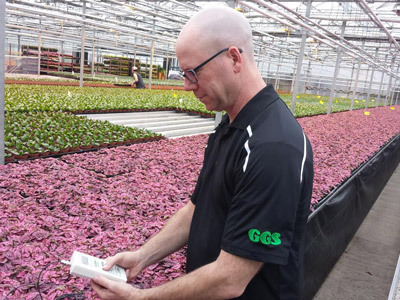 At GGS we strive to understand your business needs, contact us if you would like to discuss how a new project or greenhouse improvement could help you grow.